Households Savings - Where do Indian households invest? Recently the RBI (Reserve Bank of India) released ‘Handbook of Statistics on the Indian Economy-2015.’ This handbook is available to the public and is updated every year. Before discussing the facts & figures, let us understand – what are households savings, Financial Assets and Physical Assets? Households’ Savings correspond to the total income saved by households during a certain period of time. Savings and investments in banks, stock markets, Post office schemes, company deposits etc., are considered as Financial Assets / Financial Savings. Investments in properties (real estate), gold, silver etc., are Physical Savings / Physical Assets. From 1990 to 2000, a very high proportion of Indian households savings were invested in Financial assets when compared to Physical assets. From 2000 to 2007, more household savings were routed to Physical assets. Interestingly in 2007/08, more investments were made in Financial assets. This shows that retails/small investors participated in stock markets when their valuations are at peak. The markets eventually crashed in 2008. From 2008 to 2014, physical savings are preferred to financial savings. The total amount of Financial Savings made by households was Rs 8,194 billion in 2014. This is an increase of 18% when compared to financial savings of 2013. The total amount of savings in Physical Assets was at Rs 12,123 billion, a decrease of around 5% when compared to previous year’s data. It is very clear that households savings are routed to investments in physical assets but the gap between Financial savings and Physical assets is slowly shrinking, which is a very good sign. Below table gives us details about various investment avenues under which households savings have been invested. The total currency (in cash) held by the households was at Rs 1,317 billion. Public Deposits issued by NBFCs (Non-Banking Finance Companies) saw an increase of almost 150% during 2014-15 (end of March 2015). Investments in Shares and Debentures were around Rs 570 billion. Though this is better than 2013-14 figures, it is still a minuscule part when compared to investments in bank deposits. As per the above data, it is very clear that most of the household savings are routed to bank deposits. Investments in shares, mutual funds and debentures were abysmally low. The above data confirms that interest rates cycle is in downward trend. Recently RBI has cut Repo rate and most of the top banks have already reduced their Prime Lending Rates. We can expect further rate cuts (deposits & lending) in next 2 years. 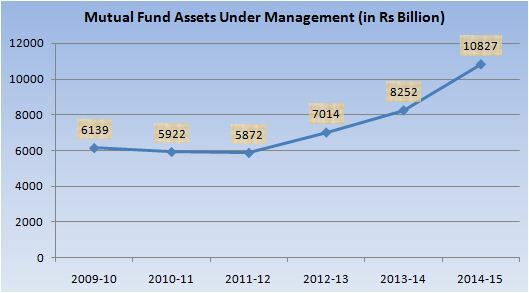 We can observe that there is a significant increase in Mutual Funds‘ AUM in the last 4 to 5 years. There is a gradual decrease of investments in NSC, Senior Citizen Savings Scheme or Monthly Income Schemes of Post Office. However, the total deposits and Public Provident Fund contributions made with Post office have gradually increased. The total outstanding NRI Deposits in 2013-14 were Rs 6,241 billion. The total outstanding NRI Deposits in 2014-15 were Rs 7,209 billion (under various accounts like NRO, NRE, FCNR etc.,). The total Loans and Advances taken from the banks during 2014-15 were Rs 2,581 billion (as per preliminary estimates). This translates into a 42% decrease from previous year’s amount. The Housing Finance Companies (HFCs) have disbursed more loans than that of commercial banks. The total Financial liabilities held by the household sector was at Rs 4,598 billion. The total no of cheques cleared in 2014-15 were 1,197 million. The total amount cleared through cheques was Rs 85,559 billion (a decrease of 8%). We (Indians) maintain a reasonably very high savings rate (the national saving rate is about 30 per cent of GDP). 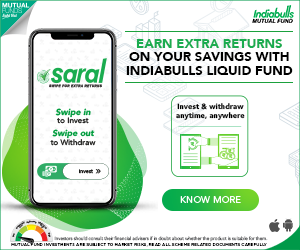 Unfortunately, a major portion of these savings gets invested in unproductive assets like Gold or low-yielding bank fixed deposits or traditional life insurance policies. Recent data does portend that a shift, albeit small, may be underway. Gold imports have been trending downwards. Additionally, with data also pointing towards greater equity participation (especially in mutual funds) by retail investors over the past few years, it does raise the question as to whether these trends are transitory or whether they are indicative of a shift in the saving pattern of households. More households have to be brought into the Financial system. We should aim for a healthy mix of financial assets and physical assets. Channeling households savings into the financial markets is imperative. I hope you find this post informative. Kindly share your views and comments. Cheers! A good and informative article…thank you..! 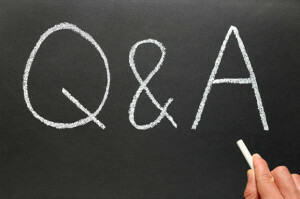 I want to find Mutual Fund, Shares, Life Insurance penetration in India . Where I can get this data? Dear Harshal..You can try searching on amfi / IRDA /SEBI websites. IRDA’s Annual report has lot of information pertaining to the Indian Insurance industry. Dear laura..Kindly refer to 69th page of the Handbook (pdf file). Let me know your age and about your existing investments. Read my article on – Retirement planning.